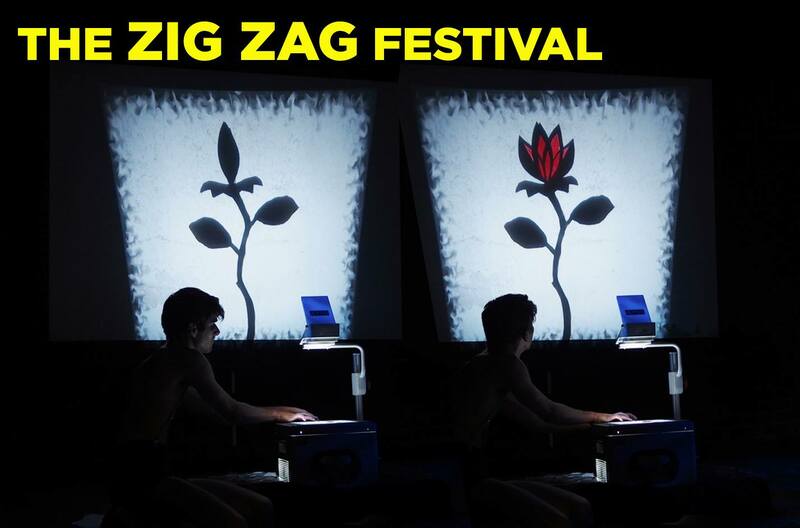 This year, I was honored to collaborate with theater artists: Dayo Anderson, Catherine Blake Smith, L. Nicol Cabe, Amy Escobar, and Courtney Meaker on a project called The Zig Zag Festival, curated by Catherine at Annex Theatre. Women are 51% of the population, but women playwrights write less than 15% of the productions on Broadway. 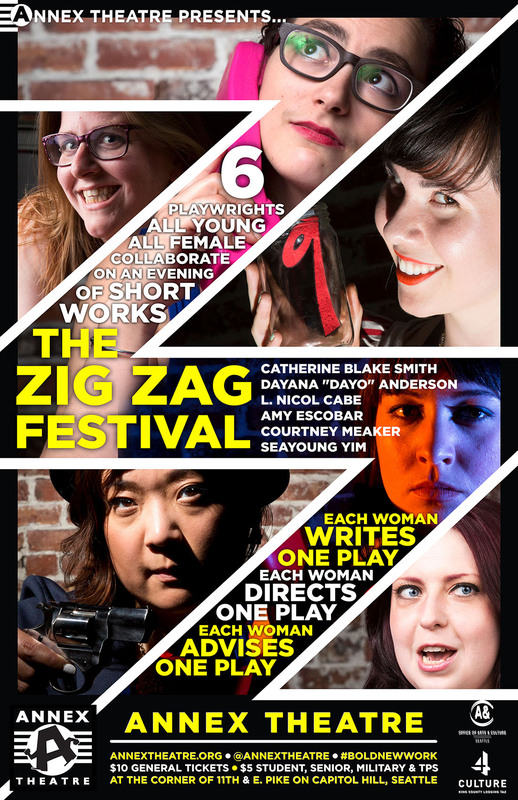 That won’t change overnight, but here’s a start: Six playwrights-all young, all female-collaborate on an evening of short works. Each will write one play, direct another, and provide an outside eye for a third. Add a set of constraints and an ensemble cast and see what combusts!” –from Annex Theatre’s website. 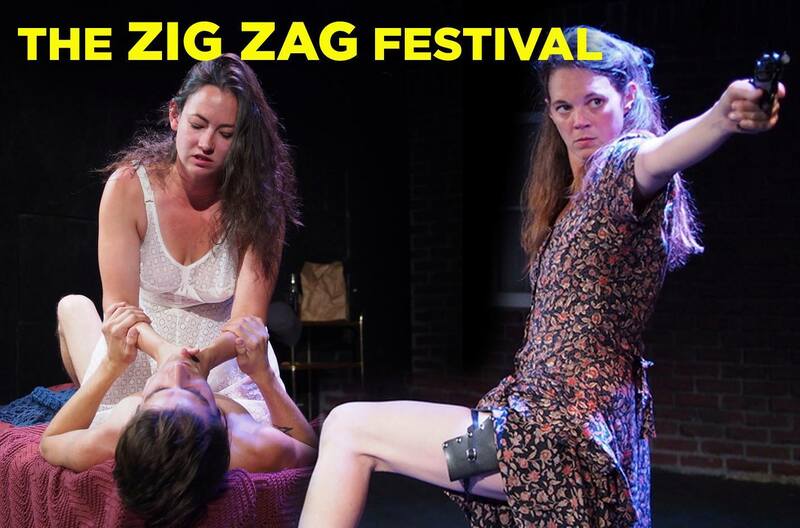 For Zig Zag, I wrote a play called Roaring Girls inspired by the lives of women involved in the John Dillinger gang after reading the book Don’t Call Us Molls, suggested to me by Courtney Meaker. Since most of my work has been set in present day, I wanted to write something set in a different time period and have some fun with film noir type dialects. At the heart of the play is a messed up love story between two women trying to bust up a world that constricts them. As a director, I worked very collaboratively with playwright, Amy Escobor, on the darkly delightful play, Scary Mary and the Nightmares Nine. There was some brilliant shadow puppetry designed by Zane Exactly in the production.